Intercom is a great way to communicate with your customers right on your pages. Once enabled, your clients will be able to send you live chat messages and you can also send them targeted messages. Intercom is a paid service and you can check out their pricing or sign up for an account. You'll be able to use the Respond and Engage features on your pages. 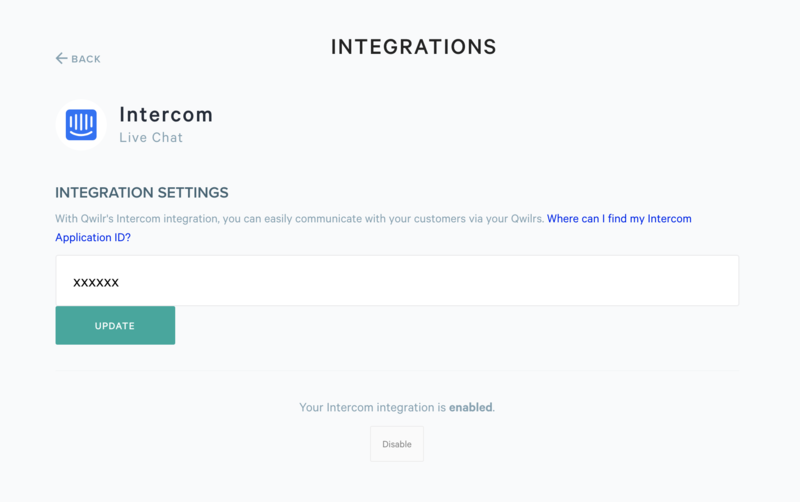 Head to Settings → Integrations and choose the Intercom integration. Enable it. Step 3: Take the text you copied from the URL (or elsewhere in your settings) and paste it into the integration settings box. Click update. As soon as you've enabled the integration Qwilr will start automatically including Intercom widget on all pages. You'll be able to chat with your clients and send them targeted messages when they view your pages.